Home / STORE / Naasgransgarden. / Tall Nisse Silver. 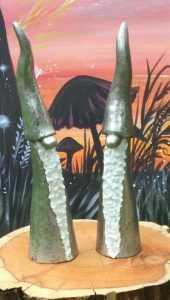 These Nisse are tall and Elegant wearing silver hats and costume with their white beards flowing downwards touching the ground.